Despite its messy appearance on Wednesday morning — workers finished paving the parking lot and the boxes scattered around the interior — Riel Restaurant is ready to open. The eagerly anticipated new project from Underbelly and Reef chef Ryan Lachaine makes its public debut January 3 at 5 pm. 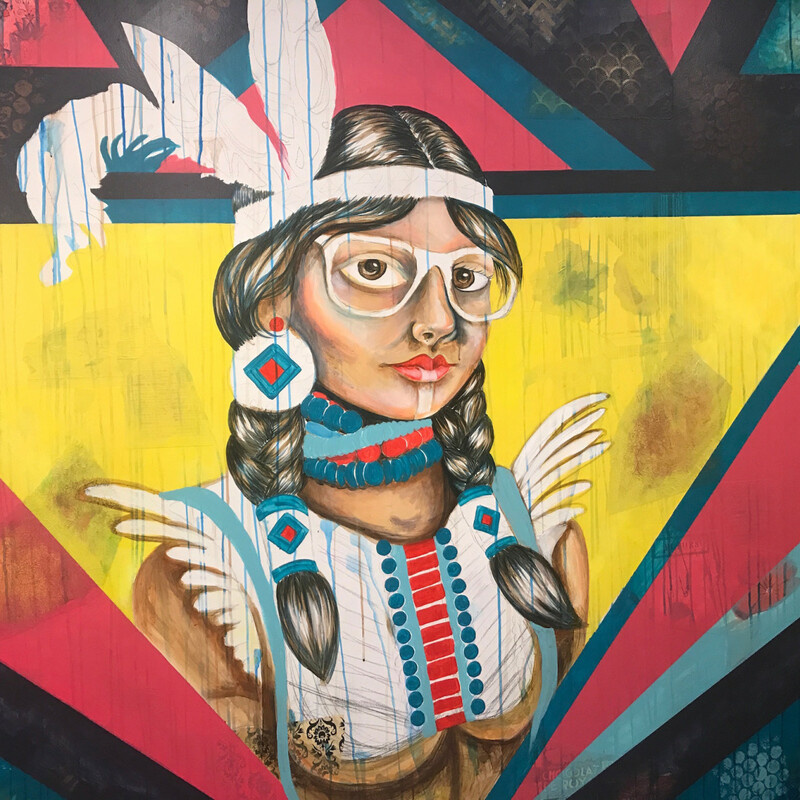 The former Te House of Tea space has been given a clean, modern transformation with polished concrete floors, dark wood accents, and simple wooden tables and chairs. At only 65 seats, it feels intimate, but the large windows along Fairview allow plenty of light. 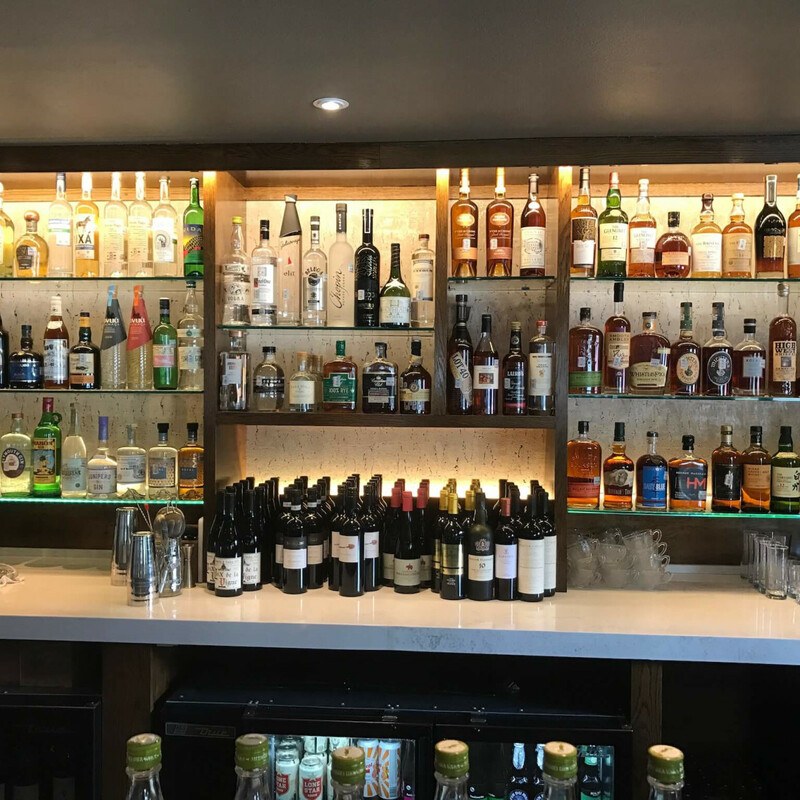 The gleaming bar beckons with a full line of Scotch, bourbon, Canadian whiskey, and other spirits. 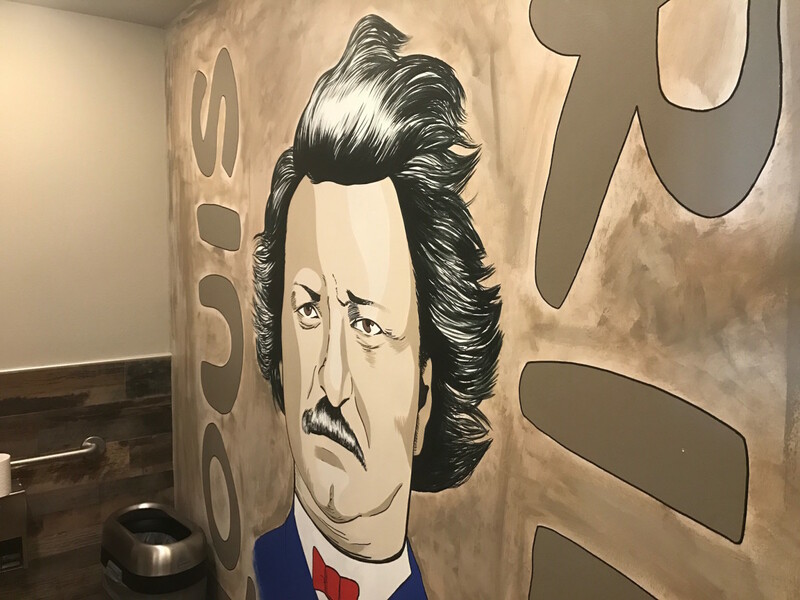 Expect to see the bathrooms on Instagram thanks to murals by local artists Lee Carrier and Alex Roman that pay tribute to the restaurant’s namesake, Canadian historical figure Louis Riel, and the Manitoba region’s Métis population. The neighborhood seems pleased, too. Lachaine says a woman has been stopping by almost every night with freshly baked cookies. 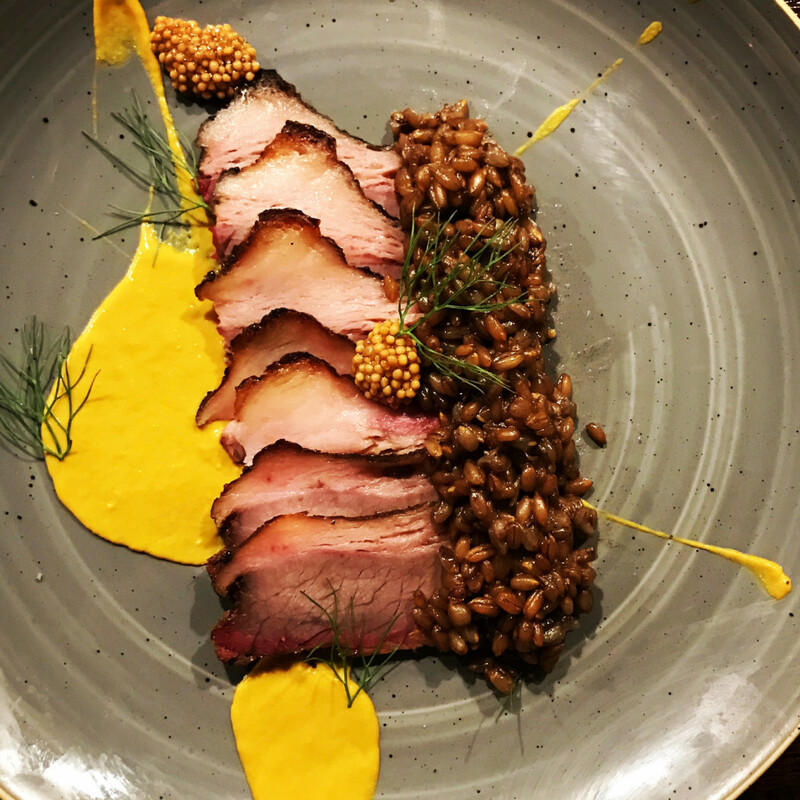 Previously, Lachaine has been reluctant to provide too many details about Riel’s food, but he’s finally ready to divulge how the restaurant's 15 item menu will blend his Canadian and Eastern European heritage with the Southern and Asian influences he's absorbed in Houston. 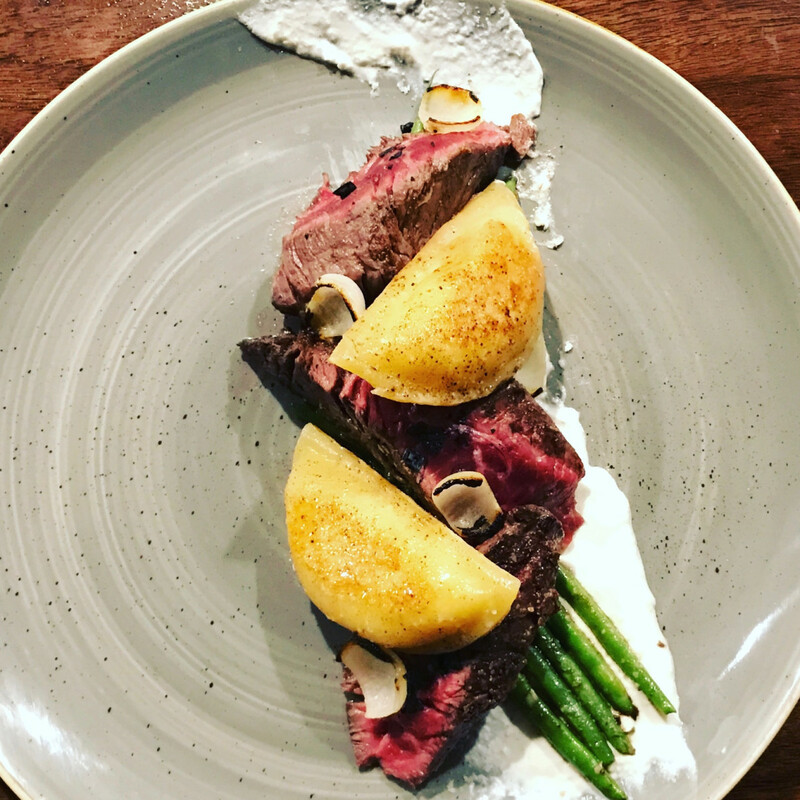 One entree consists steak from 44 Farms with pierogies and another riffs on Montreal-style smoked beef with housemade mustard and rye. Starters include raw oysters topped with granita and a Japanese-inspired Gulf fish karaage with a ranch dipping sauce. 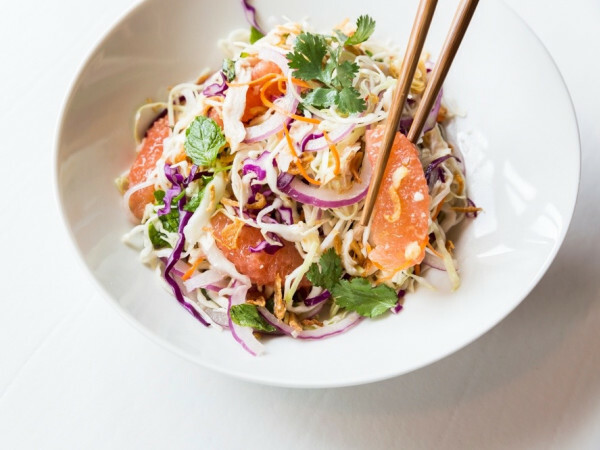 Diners will be able to splurge on caviar service or a large ribeye with a full complement of sauces and accompaniments — everything from homemade steak sauce to two fried eggs. Of course, some dishes are still being developed. Joining Lachaine in the kitchen are cooks with serious chops. Sous chef E.J. Miller worked alongside Brandi Key at both Coppa Osteria and SaltAir Seafood Kitchen and worked as the executive chef at Down House. 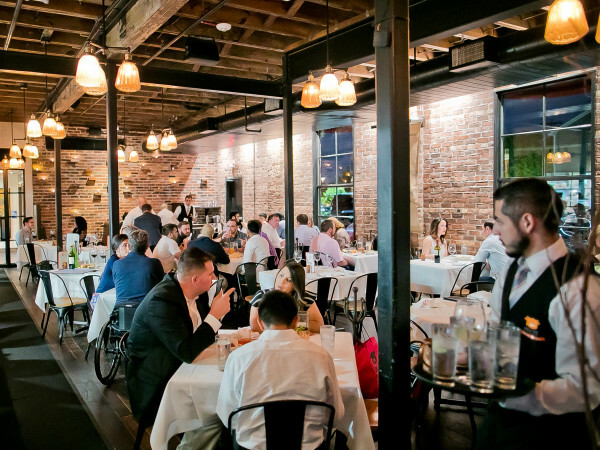 New Orleans native JD Fouché served as a sous chef at Reef, and Melven Batocabe worked at acclaimed Chicago restaurants Nightwood and Giant for chef Jason Vincent, who, like Chris Shepherd, earned a Food & Wine best new chef award in 2013. Pastry cook Alyce Garcia works for Tastemaker Awards Pastry Chef of the Year Becky Masson at Fluff Bake Bar. Together, they’re an experienced crew that Lachaine is practically giddy about working with. 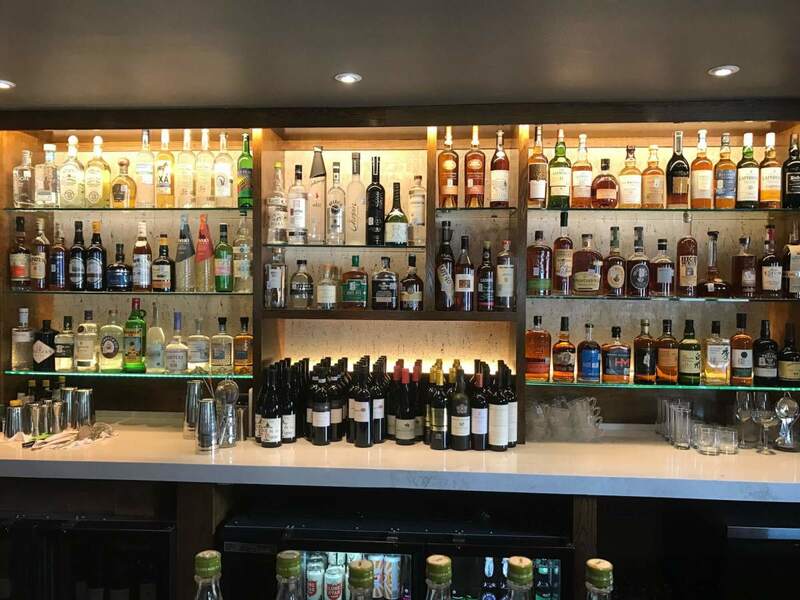 In the front of the house, general manager Chris Fleischman, who also served as Pax Americana’s opening GM, has been given complete authority to develop an appropriate wine and cocktail list. Generally, he’s chosen high-acid wines like Riesling and lighter reds to match the food and created cocktails that riff on Lachaine’s Canadian heritage, including one inspired by borscht. Diners will find $40 values and a few $200 splurges — after all, why order caviar and not pair it with an equally luxurious sparkling wine? 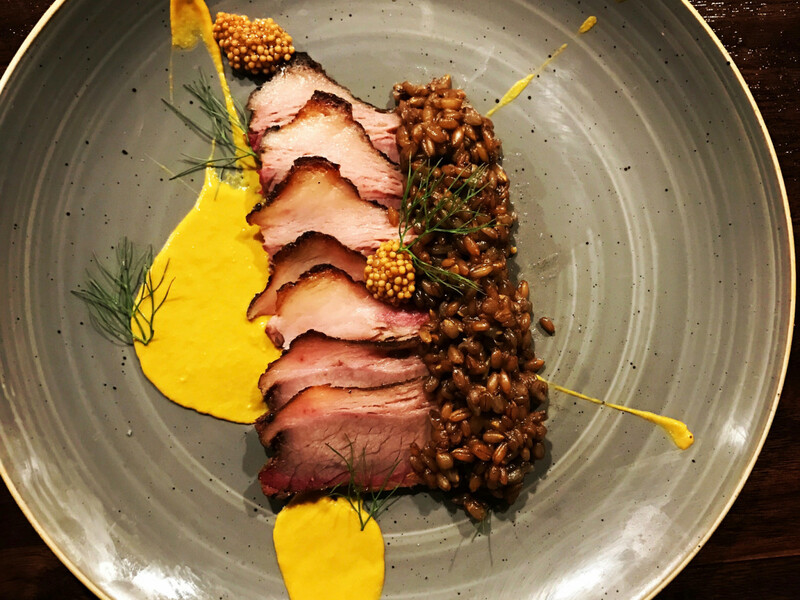 After a year in which Houstonians embraced new restaurants that served comfort food and carefully crafted concepts that originated in other cities, Riel represents a different direction. 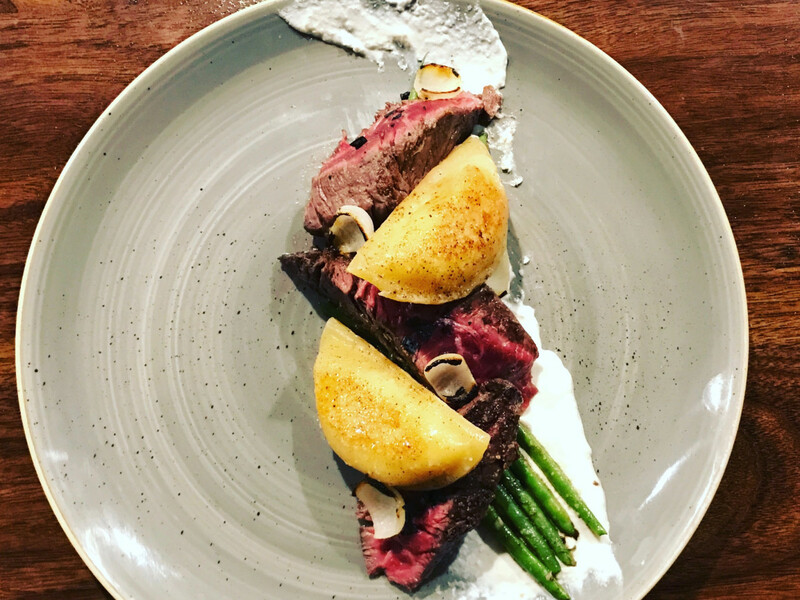 Lachaine’s food isn’t that wild, as he notes about the pierogies “every culture has a dumpling with something inside of it,” but it’s more ambitious than what the city has seen recently. 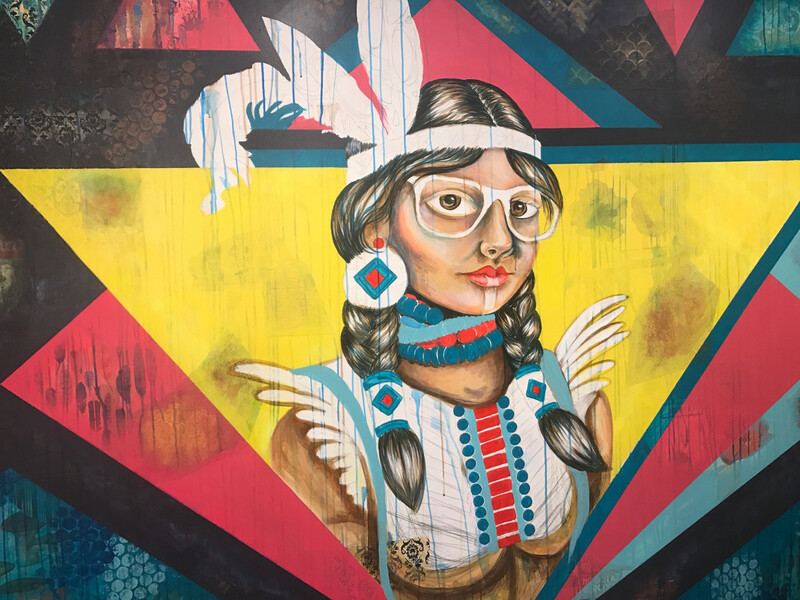 Riel is also the first concept at least since Bernadine’s opened in December 2015 that seems explicitly designed to attract national attention. 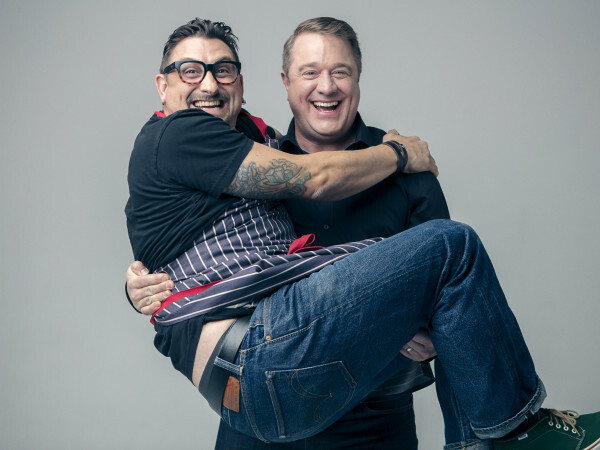 Lachaine concedes he would love to follow both Underbelly’s Chris Shepherd and Reef’s Bryan Caswell in earning recognition like a Best New Chef award from Food & Wine magazine. Of course, "ambitious" doesn’t have to be mean "formal" or "fine dining." 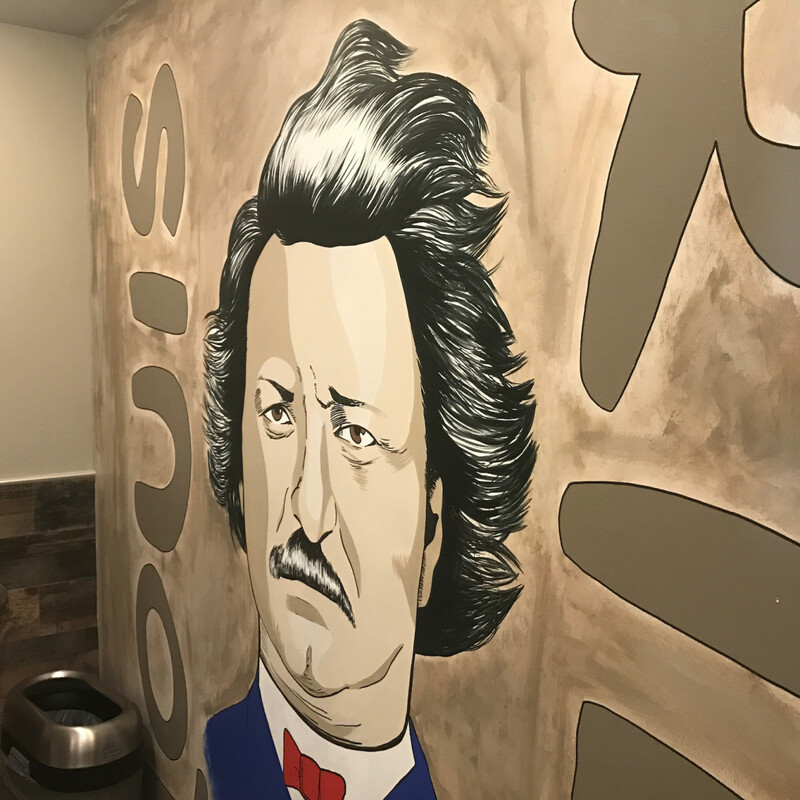 Those bathroom murals are only one sign of the lively atmosphere Lachaine hopes to create. As the interview draws to a close, the chef hints at his expectations for Riel. Riel Restaurant will be open for dinner from 5 pm to 10 pm Monday through Thursday and 5 pm to 11 pm Friday and Saturday. Reservations at OpenTable or by calling 832-831-9109.